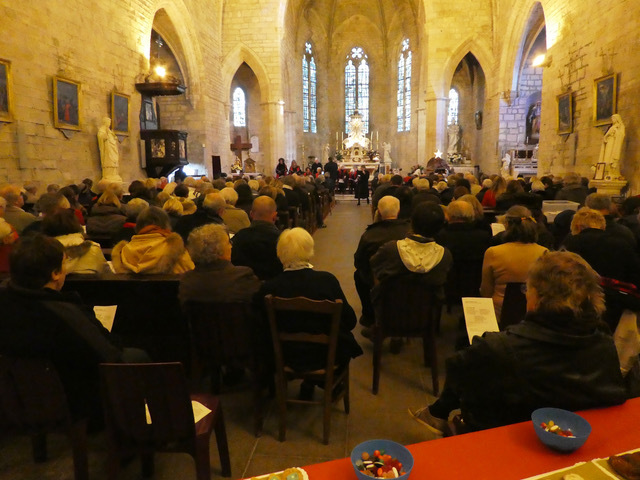 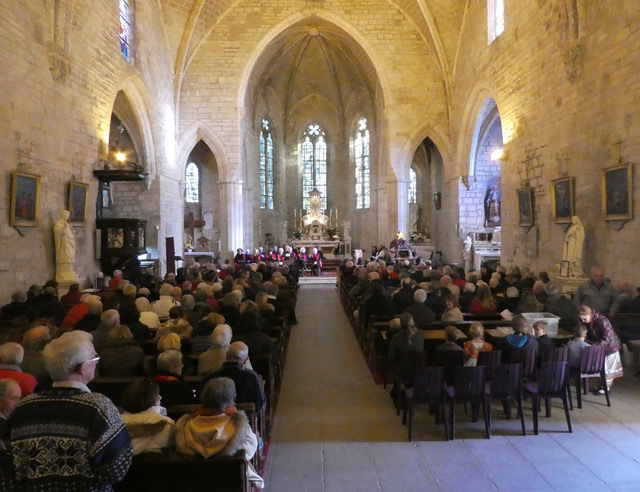 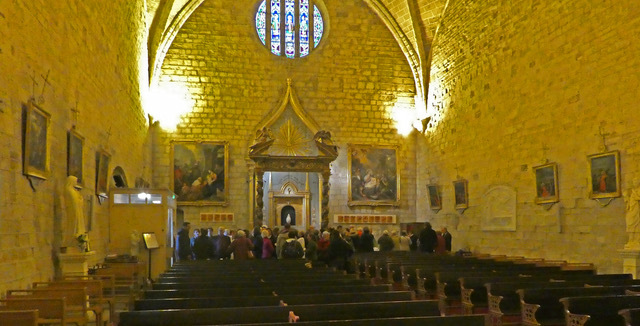 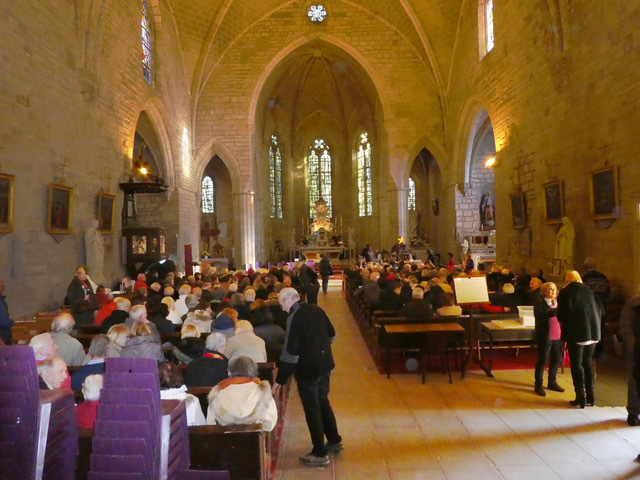 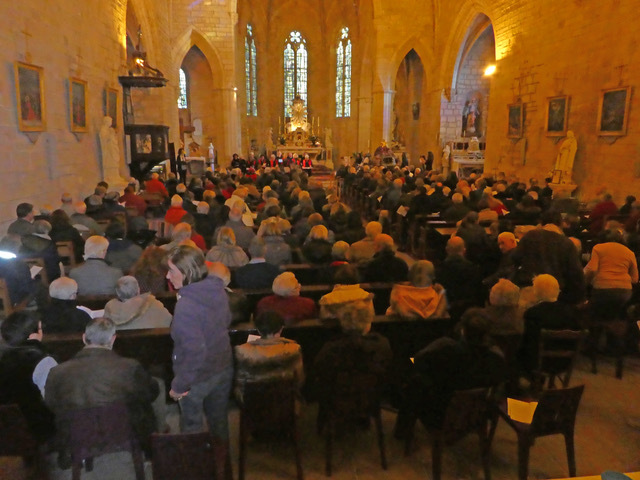 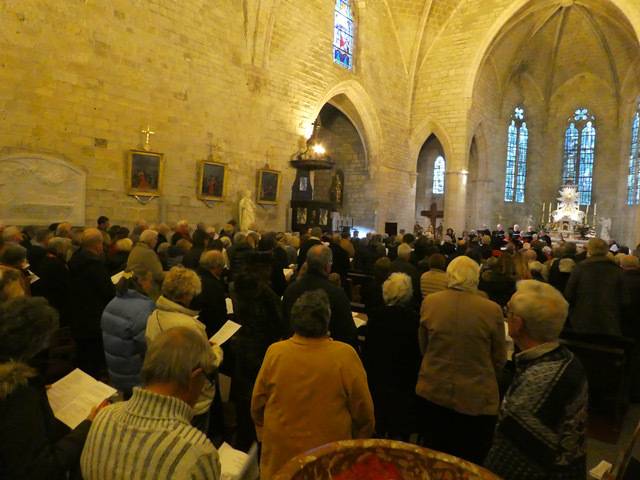 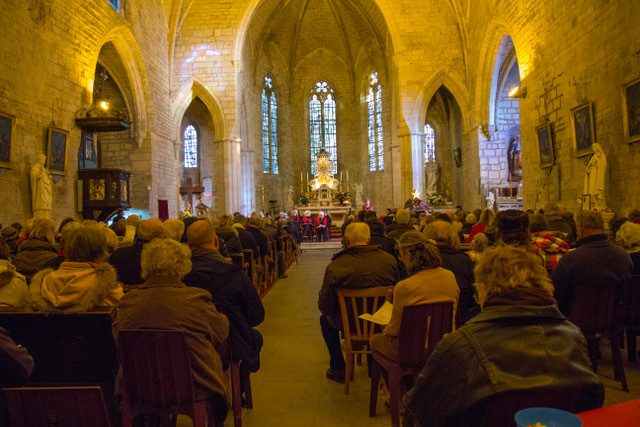 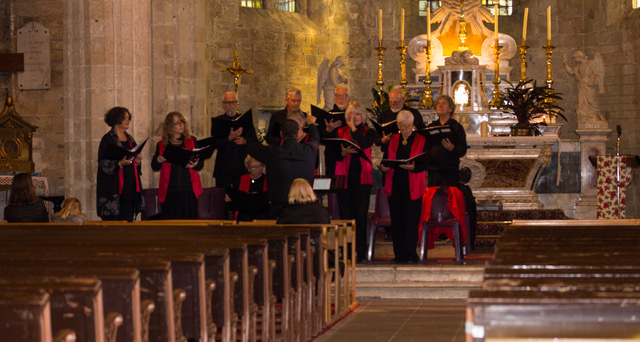 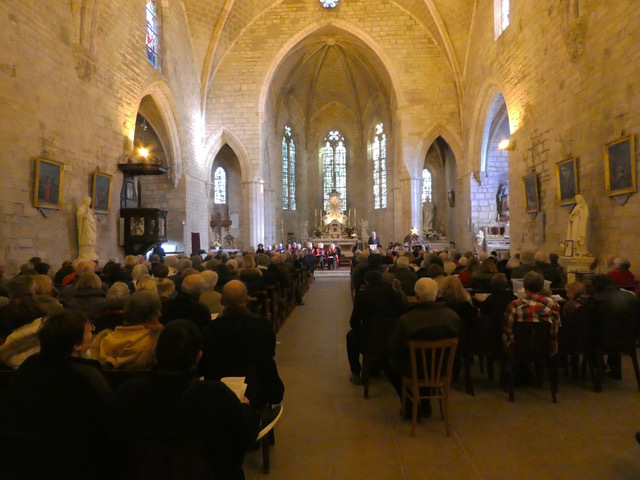 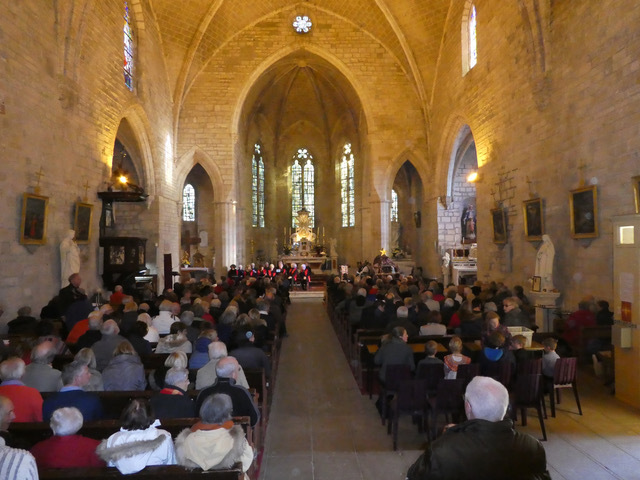 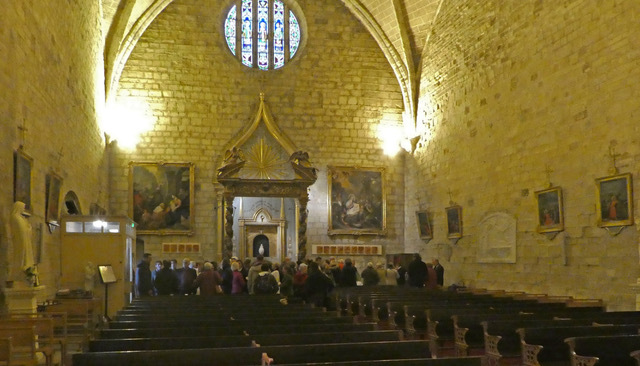 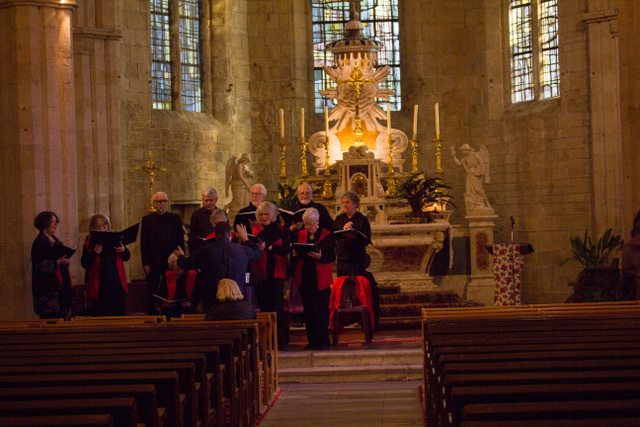 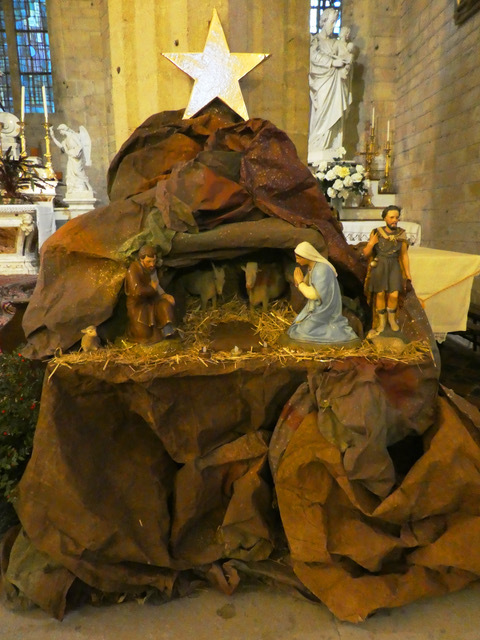 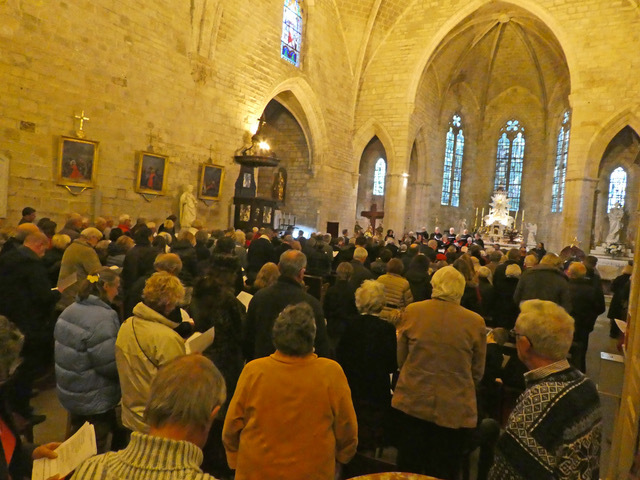 The 2016 Fontès service of 9 lessons and Carols must be considered a success. More people than ever, attended the service, so many that we ran out of chairs at the back of the church. 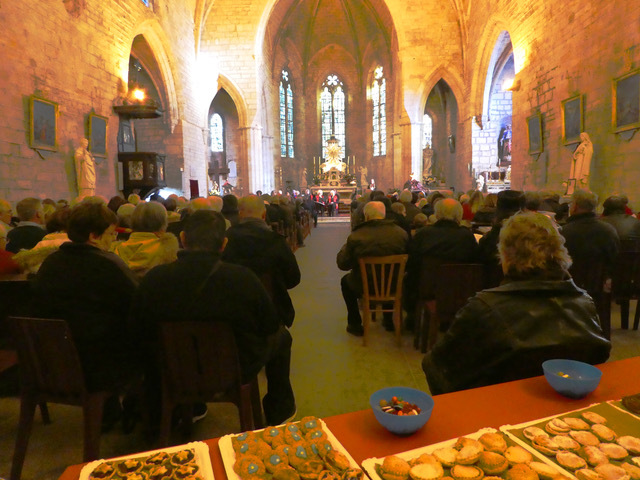 Numbers were estimated at between 320, the number of service booklets handed out, and 350 people, as some people shared their booklets. 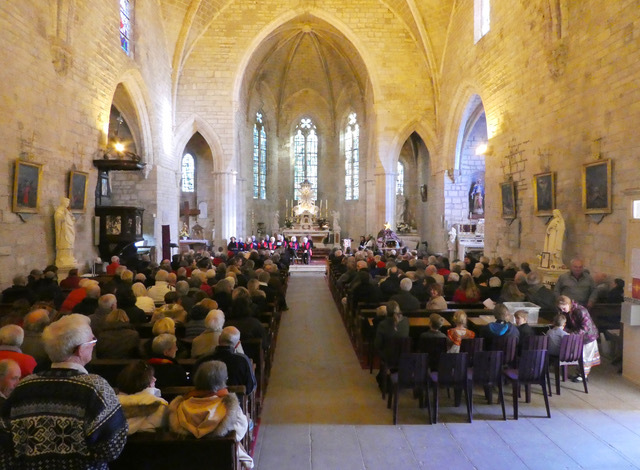 Fontès attending the service and this year, the Marie decided to publish the service on their website. 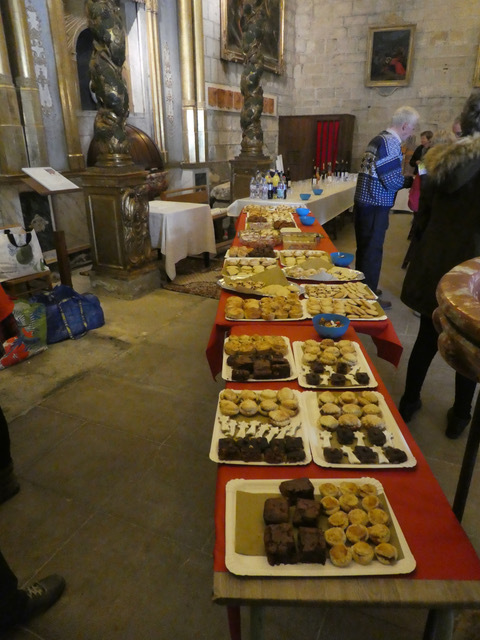 This was in addition to the excellent work carried out by Roger and Trish Armson in publicising the service. 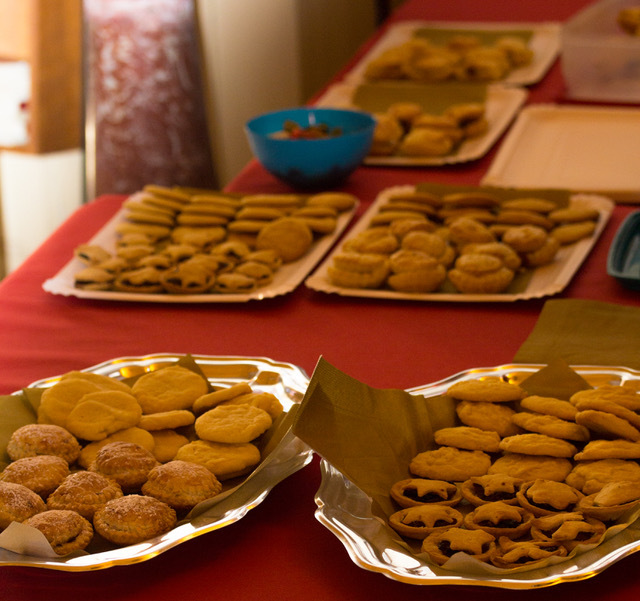 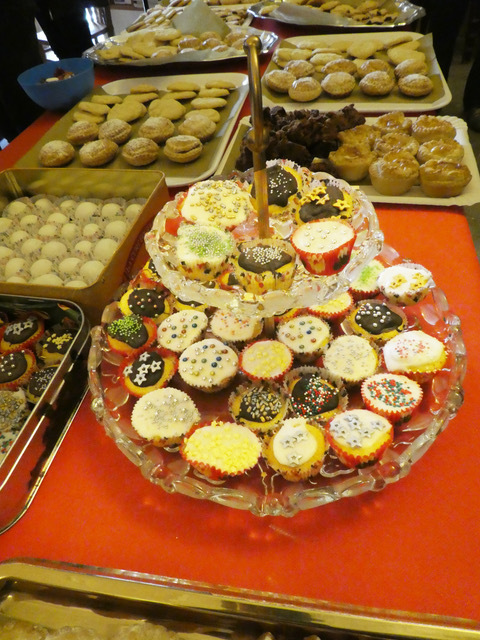 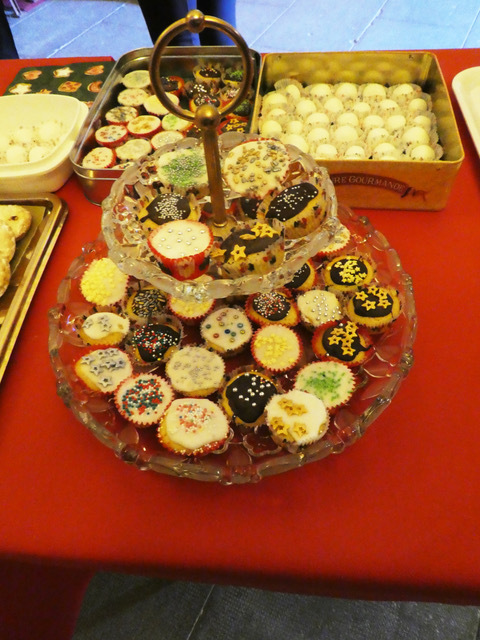 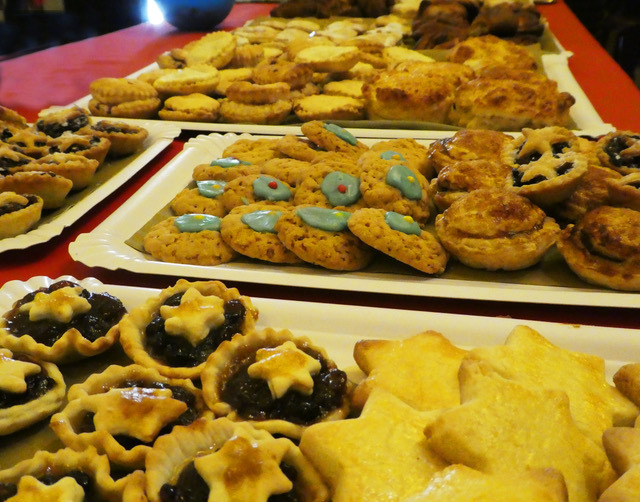 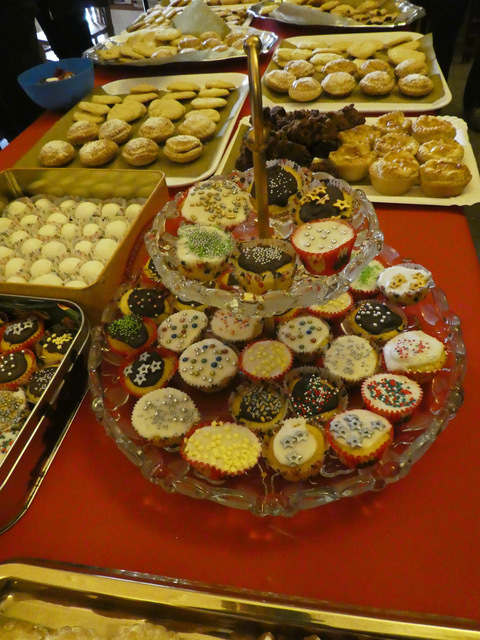 Around 2 dozen people baked mince pies, Christmas cup cakes, biscuits and other festive items. 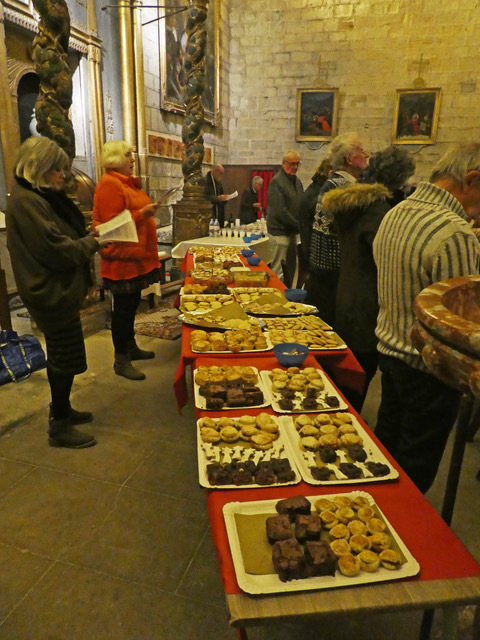 After the hungry hordes had visited the tables and trays around the church after the service, there was not a lot left to donate to other causes. 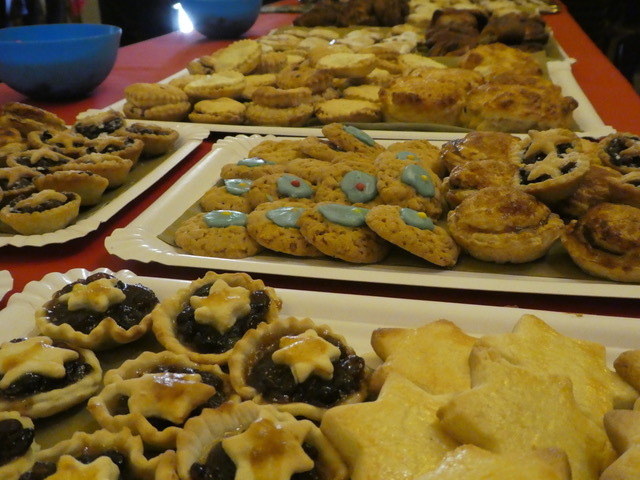 Next year, we will be asking our wonderful bakers for more mince pies! 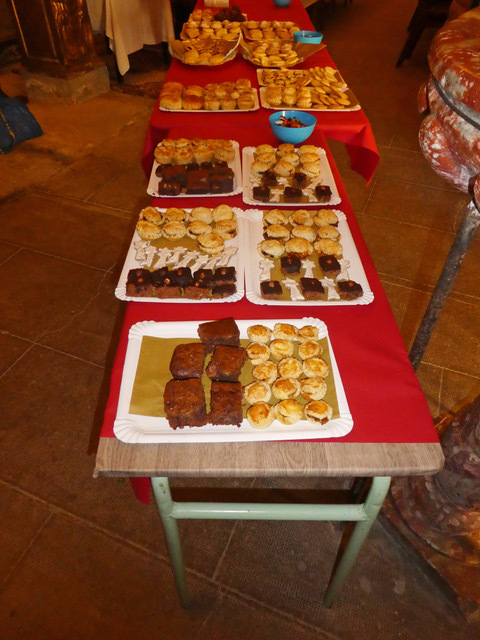 The attendees could not get enough! 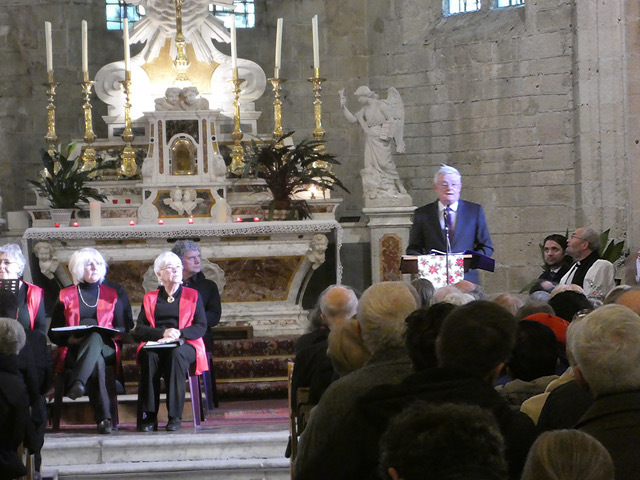 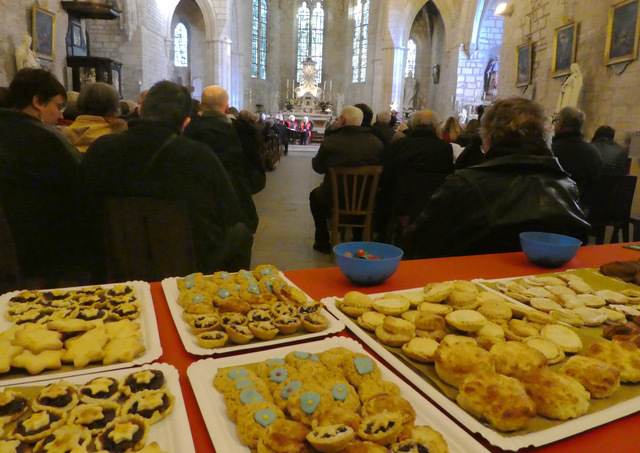 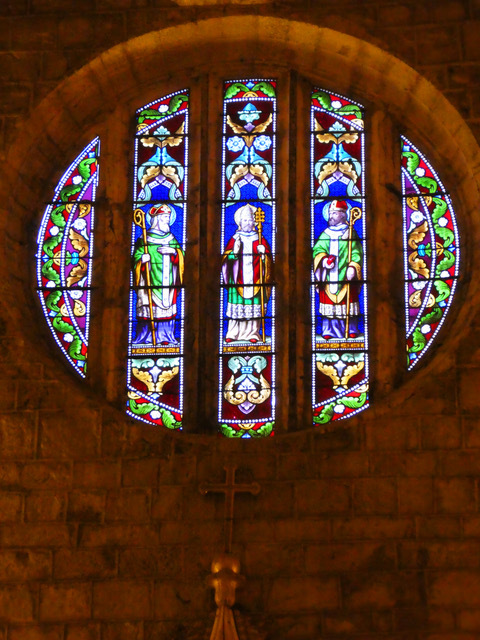 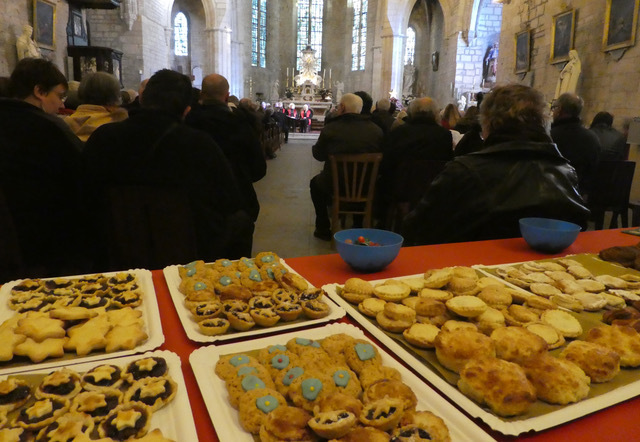 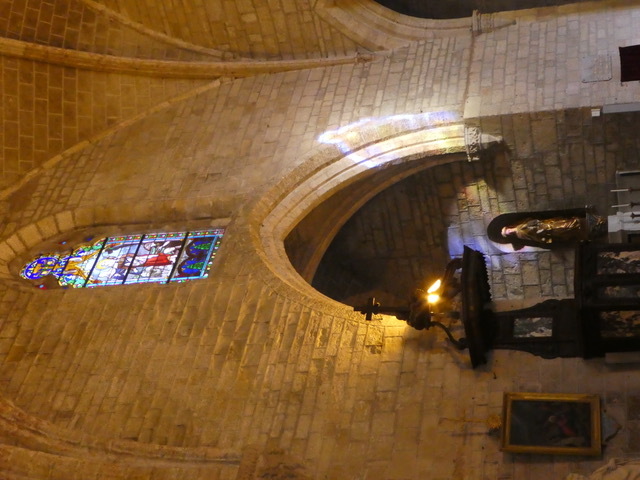 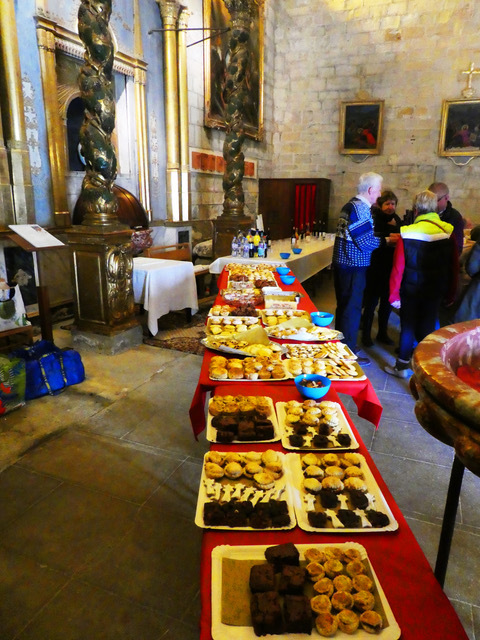 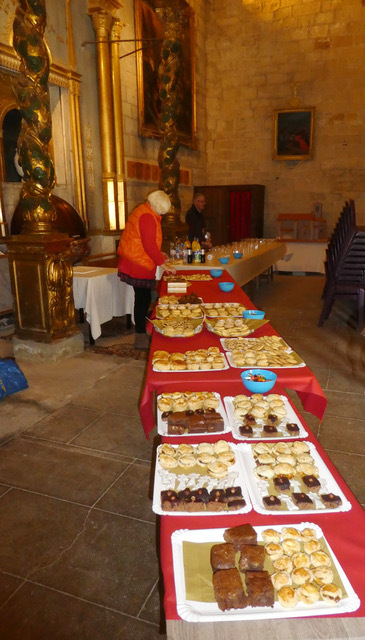 The service is a wonderful example of Christian fellowship, both within the English speaking Christian community in the Languedoc, and the wider French Christian community. 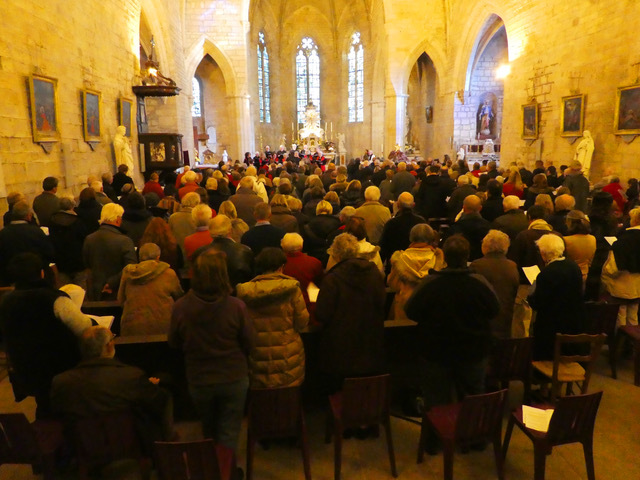 Present at the service were Christians from All Saints Hérault, Simply Church , together with Catholics, both French and English from the Pézenas/Fontès parish. 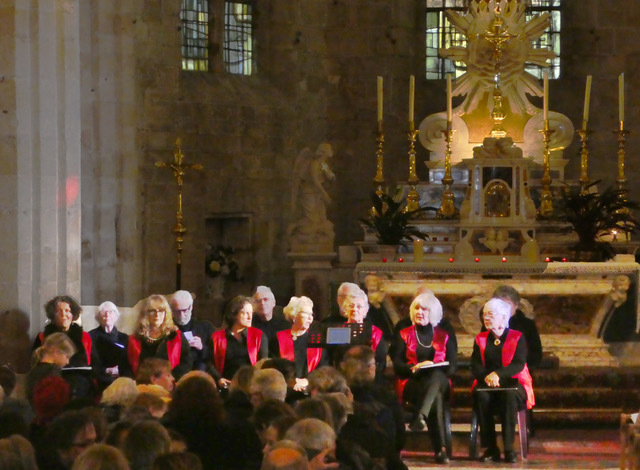 The date of the 2017 service of 9 lessons and Carols is provisionally set for the 10th December. 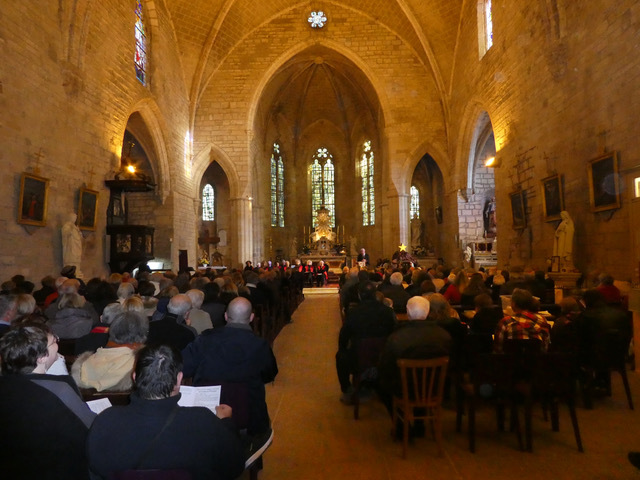 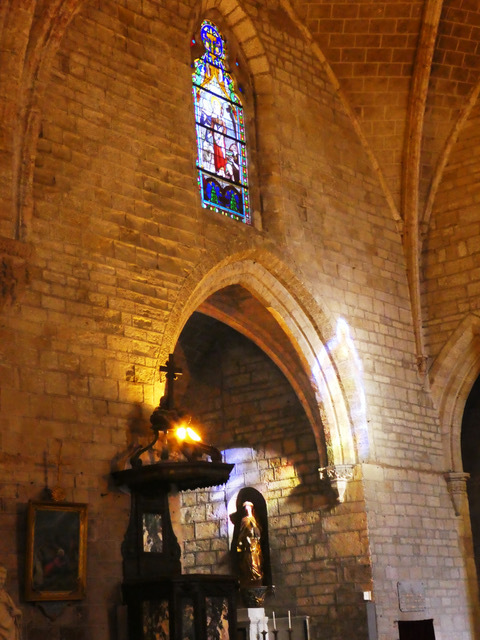 The 2017 service will be the eighteenth time it will have taken place in l’église de Saint Hippolyte, Fontès.